He was desperate, this little boy. Desperate to impress the evaluators. Desperate to impress the coach (me). And above all else, desperate to impress his dad. Hockey tryouts have arrived in British Columbia’s lower mainland, and boy do I have a story for you. Let’s back up. 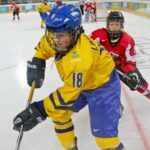 I was responsible for running a series of skills practices to kick off tryouts so evaluators could easily rank players based on their core skills: skating, stickhandling, passing and shooting. For most of the players entering atom hockey, this is their first experience with a tryout process, so they’re already nervous. Most parents recognize this, so they give their children some space. They watch from a distance. Well, this one player, in one of the passing drills, he was having a tough time. Not because he lacked the skill to perform, but because he was tight, nervous, on edge. And his dad didn’t help matters by sitting directly behind the glass, gesturing emphatically with his arms for his son to … I don’t know, be better? Can you guess what happened after this interaction? The next pass the player attempted was even worse than the previous one. This was a week ago, and I haven’t stopped thinking about it. Don’t parents realize they aren’t helping when they heap added expectations on their children? What I’ve realized in preparation for this post is that no, they don’t. The younger ones, at least. They simply don’t get it because they haven’t gone through it yet. See, I disagree with painting all hockey parents with the crazy brush. I’ve been coaching hockey and teaching hockey skills since the turn of the century (wow, that’s pretty fun to say), so I’ve seen a lot, but the only way I keep the frustration from overwhelming me to the point of quitting is to put myself in the shoes of the parent who’s gesturing, timing shifts and ripping into their children after games. 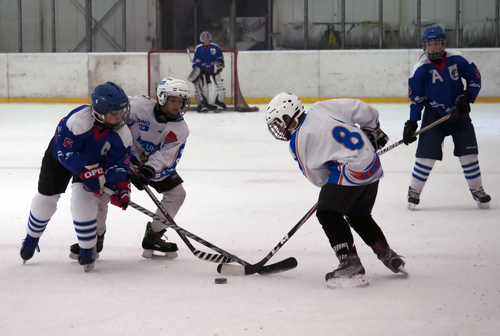 Parents are ruining youth sports like hockey because they don’t know any better. They want their children to succeed so badly that early on in their hockey journey they forget what success means. Making the top team every year? Is this what success is? Does this mean every player outside of the 15 who qualify for Atom A1 or Bantam A1 is a failure? Why? So he or she learns that external motivation is the only trigger for effort and/or performance? No thanks. These parents are ruining youth sports because the only way to know what success looks like is to live through the complete minor hockey cycle. By the time they relax and acquire more knowledge about the game, their kids are 18 and finished. In the past few seasons, I’ve coached atom hockey (9 and 10 year olds) and major midget hockey (15, 16 and 17 year olds). 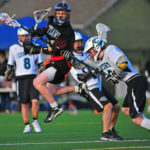 Parents often warn me about other parents who join our major midget team. And so we do, we prepare ourselves for complaints. But you know what? It never happens. Not once has a parent who we’ve been warned about proved to be an issue. Why? Because they’ve grown out of that mentality. Oh, and also because we stop listening to the negativity. Parents deserve a positive experience as their children embark upon their hockey journey too. Not only because they pay with their money, their time and their emotional investment, but also because youth sports should serve to improve the character and life skills of the people in the crowd as well as those on the ice. Cheering like a grandparent in the early years can help new parents find that all-important perspective, that veteran savvy our culture values so highly. Because the only person a 9-year-old boy should be desperate to please is himself.